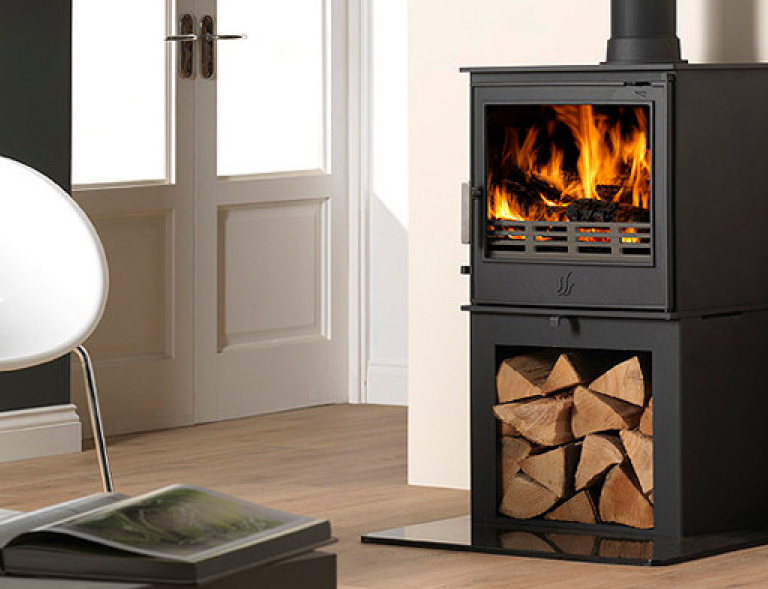 The Buxton LS has all the benefits of the standard Buxton model but with the addition of a convenient integral log storage area under the stove. 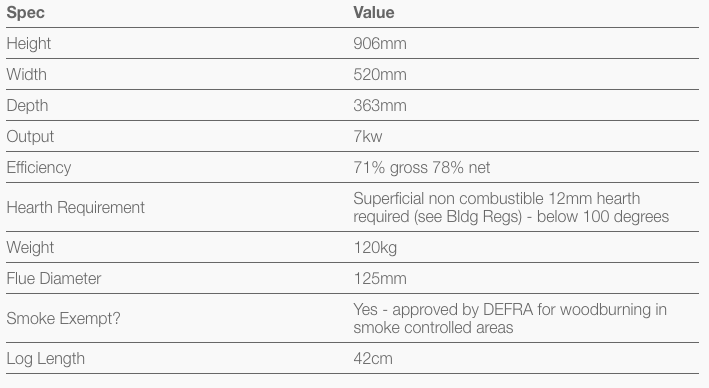 With a 7Kw output and a large glass door to give a great viewing area of the fire, the Buxton is also DEFRA approved allowing you to burn wood with confidence in smoke controlled areas. The Buxton is a multifuel stove so you have the option to burn a variety of smokeless fuels as well as wood which gives greater convenience. The Buxton is supplied as standard with a brushed steel door handle, although a black handle can be purchased as an option, and has an adjustable log guard meaning that when burning smokeless fuel you have a higher guard and when burning wood the top half of the guard can be removed. Finished in matt black stove paint, this stove is easy to maintain.